Nets open 07-19. SE light breeze turning S-SW, mostly sunny. A few birds in the morning, later very quitet and a bit of sun and wind in most nets. Playback on Green Sandpiper, Wood Sandpiper, Greenshank, Tree Pipit and Barn Swallow. Work in prograss most of the day in the garden. Haavard made a finishing touch to the windbreaker-walls, and we cleared a lot of shrubs and weeds from the trapping area. Ringed: Dunlin 1, Wood Sandpiper 1, Barn Swallow 1, White Wagtail 1, Tree Pipit 4, Garden Warbler 1, Willow Warbler 11, Common Starling 1, Brambling 1, Common Linnet 1. Total = 23. Ringmerket: Myrsnipe 1, grønnstilk 1, låvesvale 1, linerle 1, trepiplerke 4, hagesanger 1, løvsanger 11, stær 1, bjørkefink 1, tornirisk 1. Total = 23. 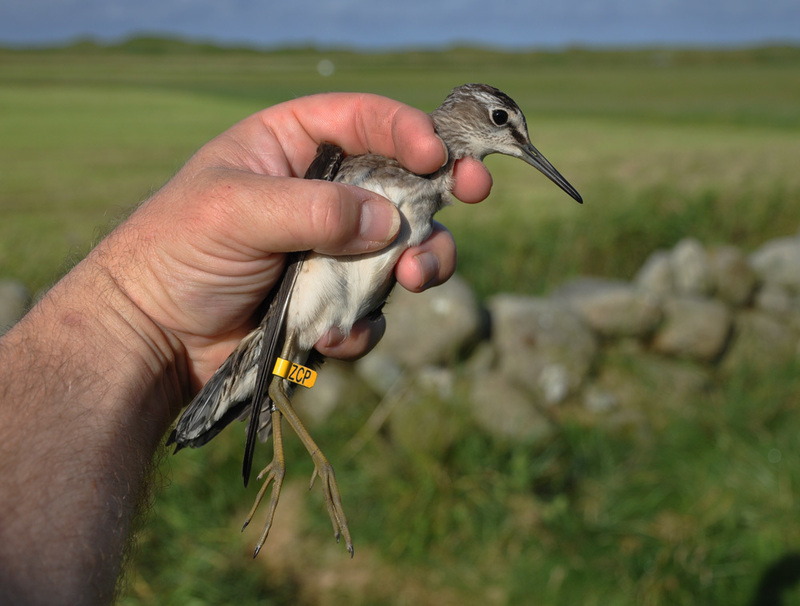 The 10th Wood Sandpiper (1 cy) of the season was caught today, and we have more than doubled the all-time total for this species at Revtangen BO. Grønnstilk 1K. 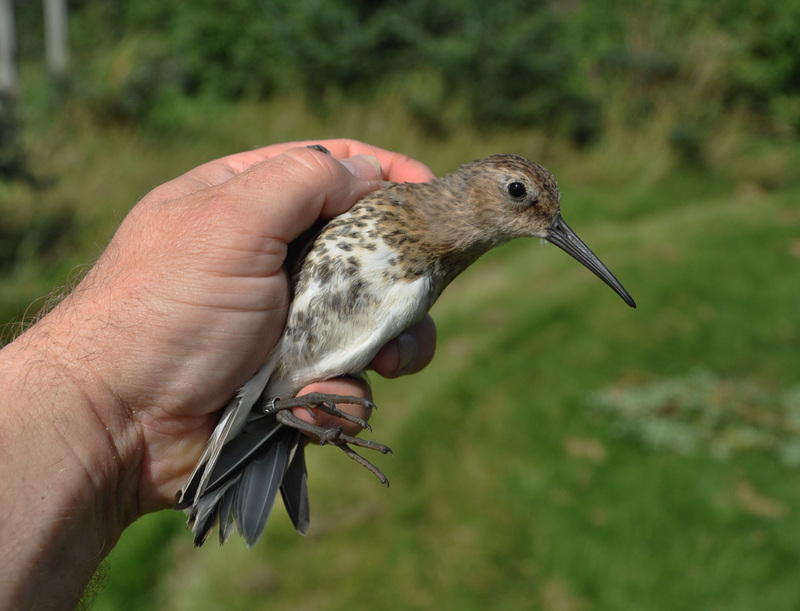 This 1 cy Dunlin was a surprise catch, and the 7th wader species caught in the new garden ponds. Myrsnipe 1K. Observations: Goshawk 1, Yellow Wagtail 1, Common Crossbill 20 migrating north. Haavard Husebö and Alf Tore Mjös. 4 visitors.